One of the best views of Belfast is as you drive over the River Lagan, looking along the Quays out to Belfast Lough. A city famed for its manufacturing, shipbuilding and maritime history, the views today represent a new era of growth. As the office blocks on the left bank continue to rise, so do the tourist visitor numbers on both sides as the city continues to flourish. 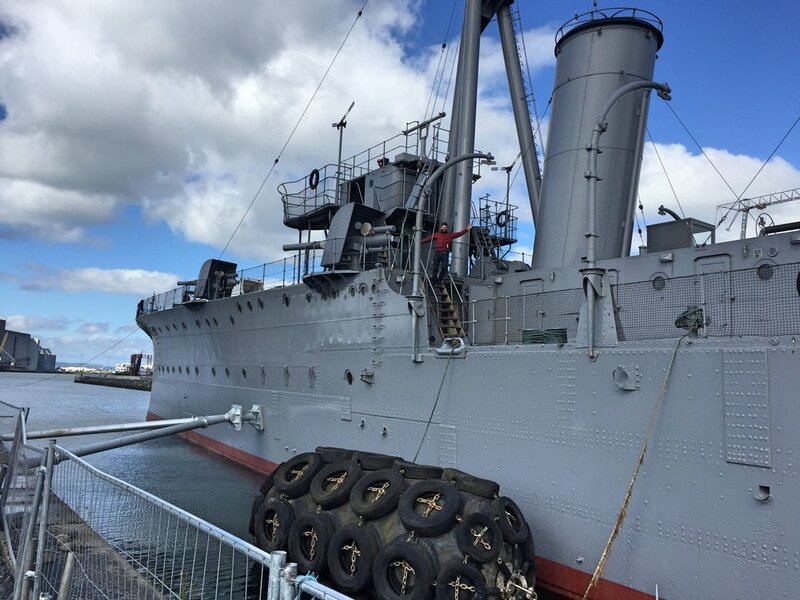 Already boasting the World's Leading Tourist Attraction, Belfast's Titanic Quarter has just had another gem added to its crown as HMS Caroline returns to her now-permanent home at Alexandra Dock. 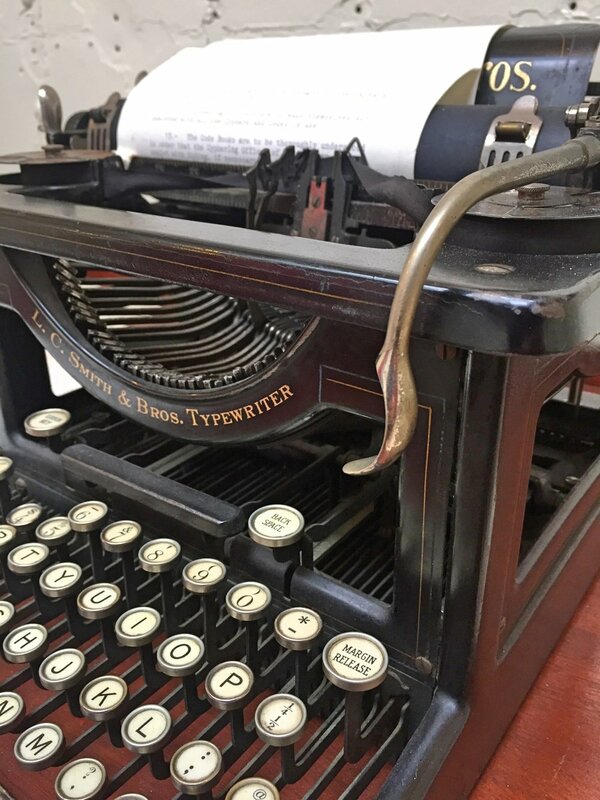 We got to check out Belfast's newest Museum on its first day back open. 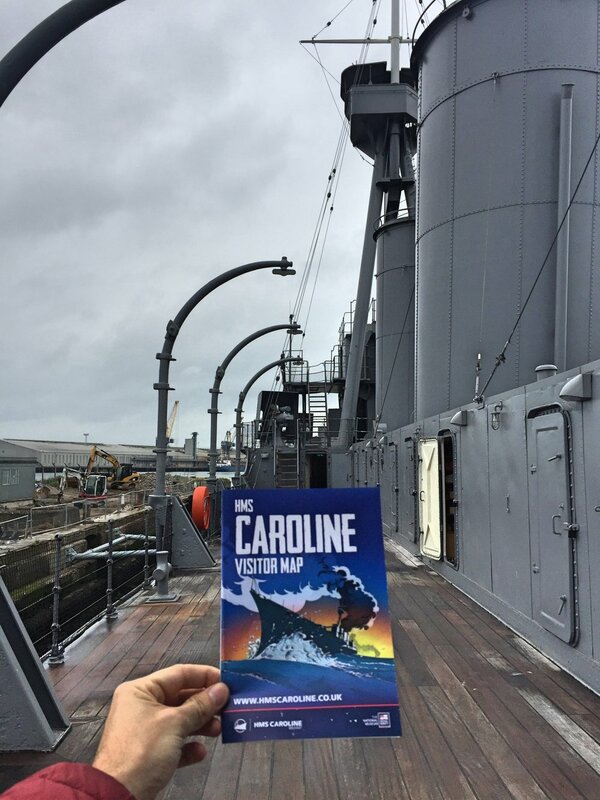 HMS Caroline was first launched at Birkenhead, near Liverpool, in 1914. A ‘light cruiser’ ship, her first few years were spent operating out of the Orkney Islands, maintaining patrol and protection of the North Sea. In 1916 she played a vital role in the Battle of Jutland - the largest naval battle in World War One - just off the coast of Denmark. Of the 250+ Royal Navy and German Navy ships involved in the 36-hour battle, Caroline was one of only a handful of floating survivors and today is the only surviving ship from the battle (*fist-pump). From the mid-1920s she has been stationed in Belfast and served as the Royal Navy’s headquarters during World War Two. For the majority of the last 90 years her role has been as a floating training establishment of the Royal Naval Reserves, before finally being decommissioned in 2011. 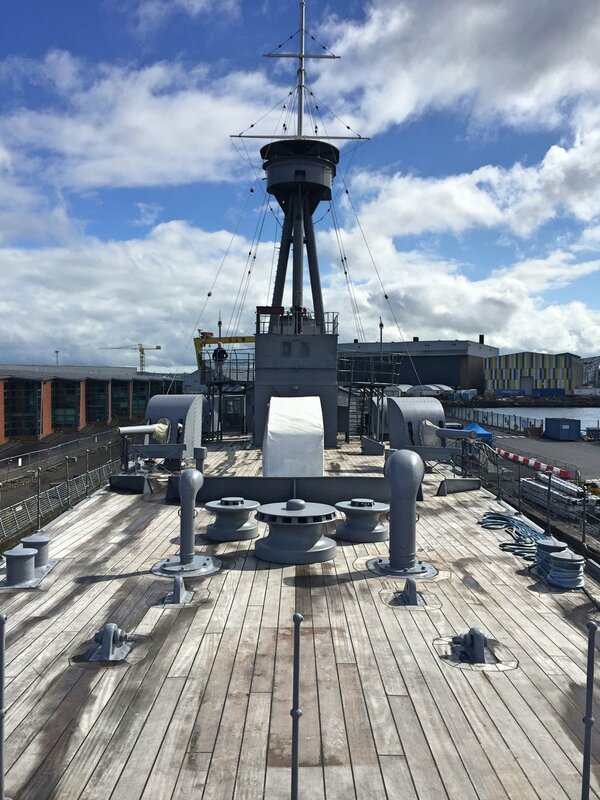 HMS Caroline was officially converted to a Museum Ship in 2016 - 100 years since the momentous Jutland battle - and attracted around 16,000 paying visitors in the first few months. 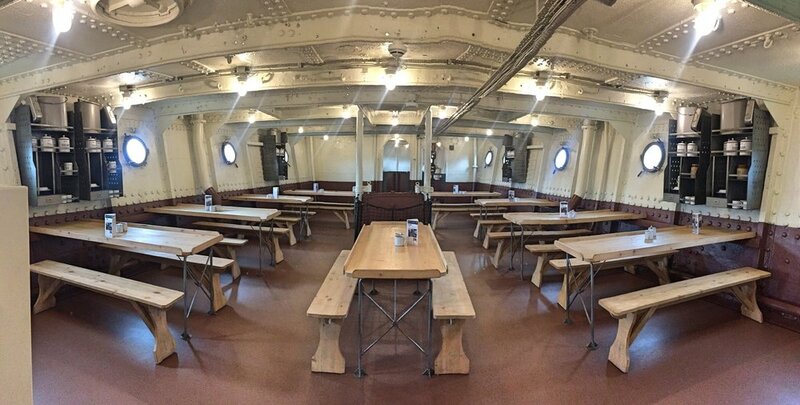 Following further extensive repairs and the installation of an advanced mooring system this year, the ship is now back open to the public in the heart of Belfast’s Titanic Quarter. 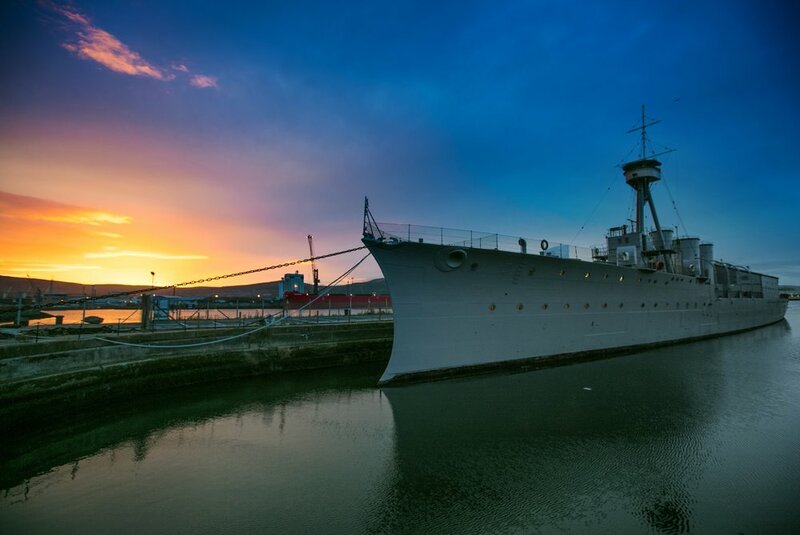 HMS Caroline's reopening marks the first stage of a major redevelopment project in the area with the planned creation of a 500m walkway connecting Titanic Belfast slipways, HMS Caroline and the Thompson Dock. Restoration work is also underway at the nearby Pump House as well as Alexandra Dock where Caroline is moored - so expect to see lots going on as you arrive down. Parking facilities will likely change as plans develop, so just keep an eye out for signage. A temporary ticket office is in place for now - with very friendly and helpful staff to advise on how best to enjoy the HMS Caroline Experience. ...and take your time. The quick history lesson above is only a snippet of what you'll learn by watching the film and casually browsing the photo wall around this initial area. Make sure to look out for these infra-red points on the wall. Aim your audio guide at it and press the button... you'll hear more about the area you're in. 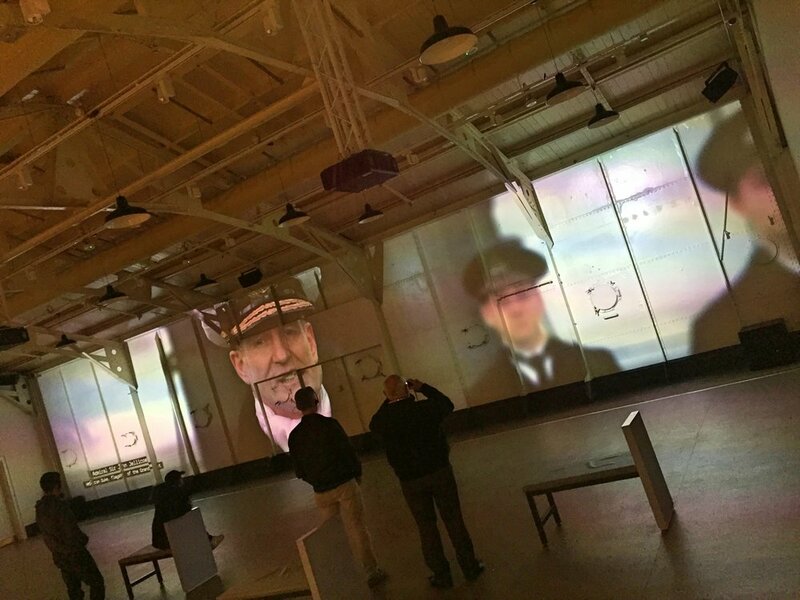 ...and throughout the ship the interactive zones will have people of all ages hooked. Especially the ship-piloting and 'Signalling with Lamps' games. Addictive. These are just a fraction of the pics taken in the 2.5hrs spent on board. There's even a children's maritime-themed play zone for the younger ones and a cafe on the lower level (the pic above being the seating area). One of my favourite areas inside the ship is actually a part that I completely forgot to take photographs of. Look out for the zone near the front of the ship, just above the cafe, that highlights the actual renovation project. The amount of work that has gone into every detail of restoring Caroline is astonishing. 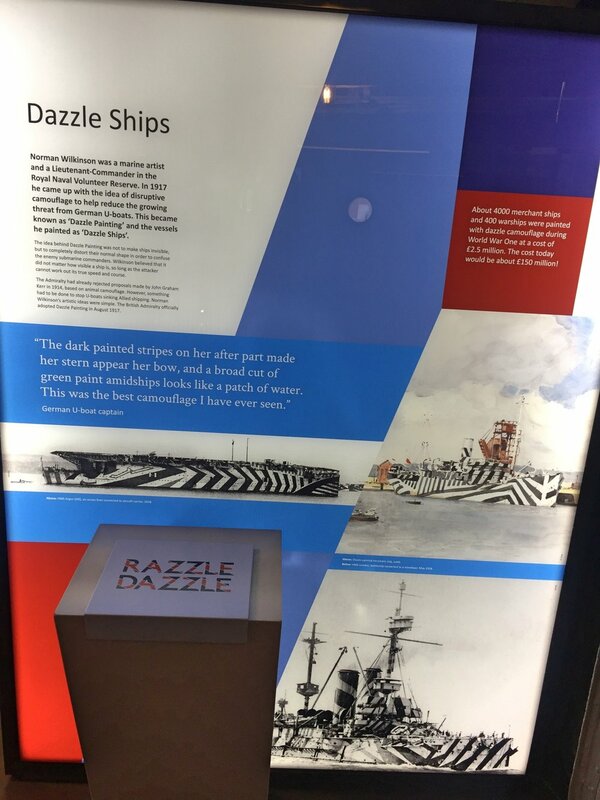 While inside the ship is a maze of rooms and displays, up here is where you really get an idea of the ship's size and take in the sights of Belfast's surrounding docklands. Check out those pics of the ship in use! For around two years Caroline had a short take-off deck for Royal Air Force planes. Hopefully the pics give you a flavour of what to expect. 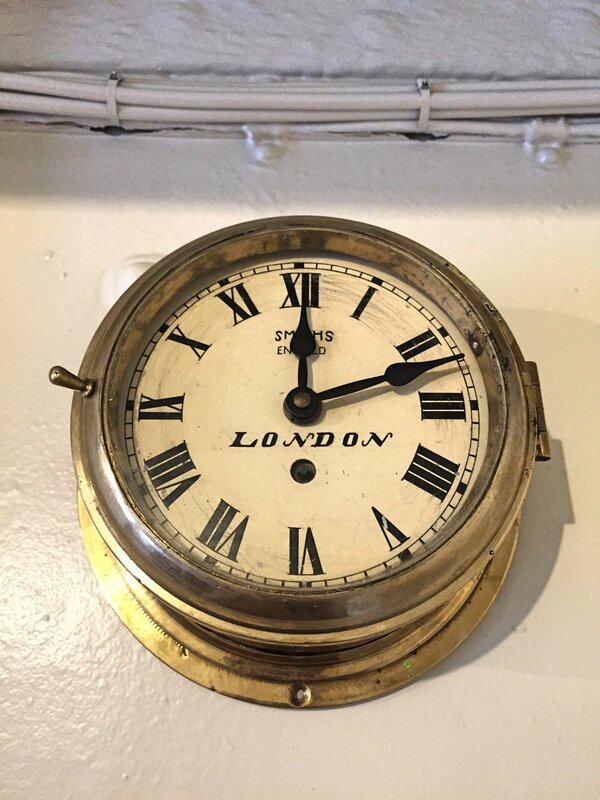 For full visitor information, check out the official HMS Caroline Experience website.